Compliance with this Duty of Care, which forms part of the KF Code of Conduct, is mandatory for all members of the Kinesiology Federation from student up to and including AKFRP. Members of the Kinesiology Federation are also subject to the ‘Complaint Investigation and Disciplinary Procedures’ of the Kinesiology Federation. 1.1 Members may only offer services that they are qualified to provide and for which they are fully insured. 1.2 Rules of confidentiality are to be observed. 1.3 In their dealings, members will demonstrate integrity, establishing codes of practice at the outset and maintaining them throughout. 1.4 Under no circumstances shall a member exploit a client financially, sexually, emotionally or in any other manner. 1.5 All members are required to keep up to date with the latest professional developments in their field of practice. 2.1 Members will uphold the dignity of their profession and may not denigrate other professional disciplines. 2.2 Should a member’s ability to carry out their services be impaired for any reason, they must restrict their activities accordingly. 2.3 Any member receiving a complaint against them must report this, including the details of the complaint, to the Kinesiology Federation administrator and their insurance company. 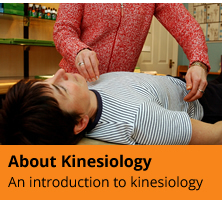 3.1 All members are bound by the Kinesiology Federation’s Code of Conduct and subject to its disciplinary procedures. 3.2 Only those who are fully paid up may publish their membership. 3.3 There is an obligation on all members to support each other and take an active part in the running of the KF.